President Bush hailed the newly independent Kosovo and officially recognized it as a state and a “close friend” on Monday, expressing strong support for the new Balkans nation even as he rebuffed protests by Serbia and Russia. 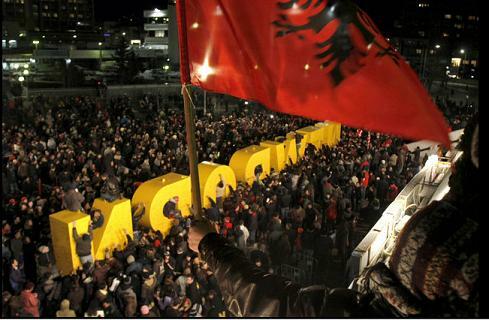 I understand what it feels like to be a Kosovar Albanian today as it takes me back to 15 January 1992, when European and other states, including the United States, formally recognized the independence of the Republic of Croatia. I can also sympathize with Serbs, who must feel like their heart has been ripped out of their body given that Kosovo is integral to history and spirit of the Serbian nation. Ivo Banac has written that “the history of the Balkans is a history migrations, not only peoples, but of lands.” The Serbian nation was founded on land that the Serbs no longer control politically as a result of the vicissitudes of politics in that part of the world and the drift of the center of gravity of Serb political northward over the centuries. 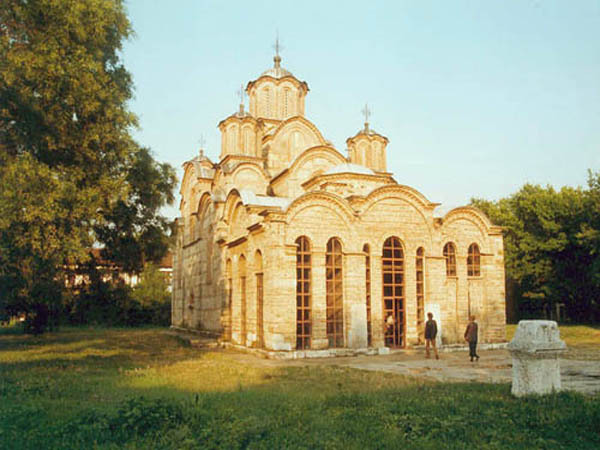 It is incumbent upon the new Kosovo government and the international community to allow Serbs to continue to have access to the sacred religious and spiritual monuments of their past. You can see a comprehensive slide show of photographs marking the situation here. Below is a photograph of the famous Serbian Christian Orthodox Gračanica Monastery in Kosovo.